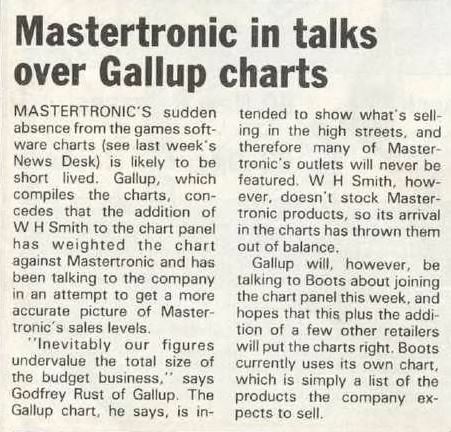 The meaning of the software charts was always being bitterly disputed. 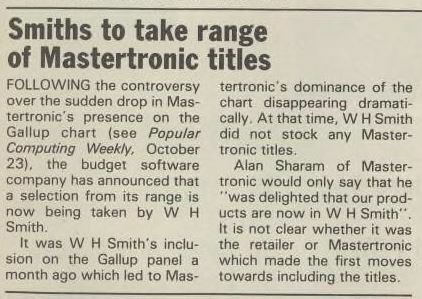 It had taken a long time for budget software to be represented but, as the article in PCW 23 October 1986 shows, the way the data was extracted and used was also controversial. There were futher developments the following week and again two weeks later - see below.